Come explore the history, sounds, and drinks of the Prohibition Era of LoDo on the Jazz & Whiskey Tour, with an exploration of Mile High Spirits and the best jazz this city ever heard. Come join us for a unique experience you will not soon forget. The Jazz & Whiskey Tour is one of our proudest creations, and it is one of the original Centennial tours. We get the party started at Mile High Spirits, and work our way across LoDo, learning about the historic red light district, and exploring one of the most important jazz bars in jazz history. We take you back in time to the '30s, when speakeasies and brothels thrived in Lower Downtown, and jazz filled the air. Come see and feel what the '30s were all about. 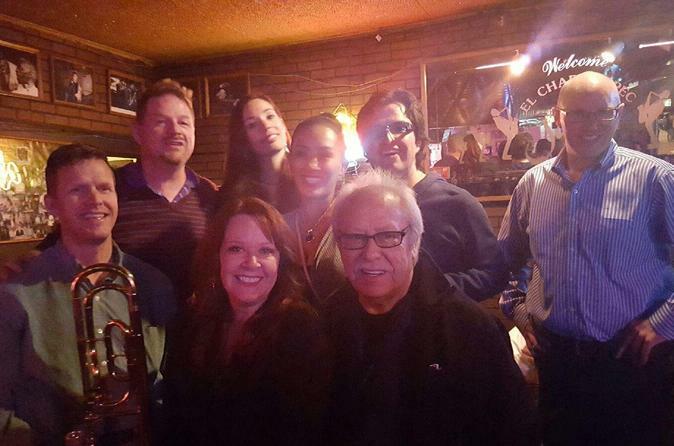 Tour starts at Mile High Spirits with a behind-the-scenes distillery tour and tasting, and concludes at the famous, El Chapultepec Cantina, with the legendary Freddie Rodriguez Quartet.